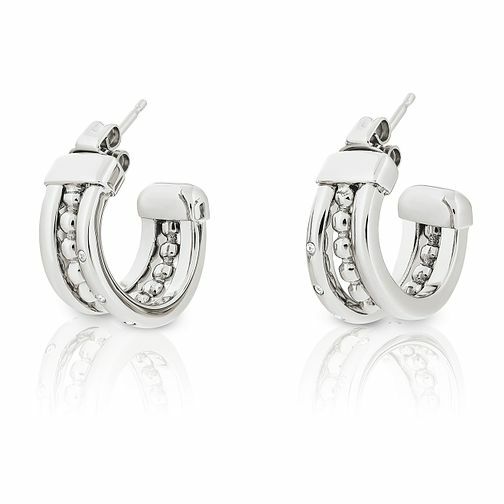 Classic Tommy Hilfiger ladies' stack huggie earrings in polished stainless steel. Featuring one plain aspect, one beaded, and one adorned with glistening clear crystals. A pairing set to wow, day or night. Tommy Hilfiger Ladies' Stack Huggie Earrings is rated 5.0 out of 5 by 1. Rated 5 out of 5 by Anonymous from Classy and elegant Delighted with my purchase as they were of good quality and looked stunning when wearing them!